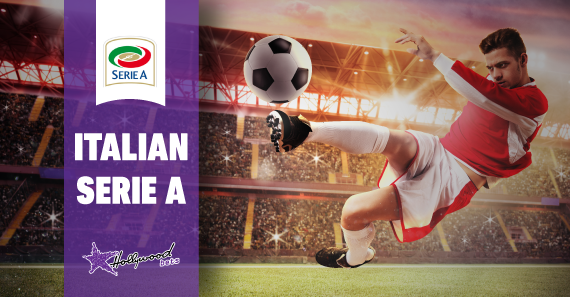 Our football expert previews round 20 of the Italian Serie A which resumes on Saturday the 19th of January 2019. Further down the table, Chievo, Frosinone and Bologna occupy the bottom three places, but with another 19 rounds of football to go, that could easily change, it just depends on how desperate the teams are to play top-flight football next term. Roma were below average before the break and manager Eusebio Di Francesco will certainly look to change things up for the better. La Lupa have won three of their last four games, including back-to-back matches. Torino are just three points off their opponents and will be hoping to level up on Saturday afternoon. They remain unbeaten on the road but drawing eight of their 10 games. This one should be a cagey contest but Roma are tipped to capitalize on home advantage. Udinese have registered just four victories from 19 games, scoring only 16 goals in the process. Newly-promoted Parma have been inconsistent to say the least, but are placed at a respectable 12th on the table and will be eager to push forward. The hosts have managed just three wins from 10 home games and are likely to struggle once again. Take Parma on the Win/Draw Double Chance at 15/20. Saturday’s final matchup will see Inter Milan welcome Sassuolo to the San Siro Stadium. The Nerazzurri have been excellent at home with seven wins from nine matches, including five on the spin. Sassuolo suffered consecutive defeats before the break, scoring three goals and conceding nine. Back Inter Milan on the (-1) Handicap at 21/20. Frosinone have been dreadful with just one win from 19 matches, scoring 12 goals (lowest in the league) and conceding 37 times (joint highest in the league). Atalanta lacked consistency in the first half of the season but should do enough to get maximum points here. La Dea won the reverse fixture 4-0 and are tipped to pull off the double against the relegation-contenders. SPAL are only four points off the drop and will be desperate to start the second half of the season on a positive note. Bologna, on the other hand, is placed 18th on the standings and can’t afford to bury themselves deeper. You can expect a cautious approach from both teams with a lack of attacking tactics implemented. With that being said, the Under 2.5 Goals market looks there for the taking at 9/20. Fiorentina started the campaign off on a positive note at home but that slowly faded away towards the first half of the season. Sampdoria had won three of their last four matches before the break but struggled on their travels. The last seven meetings between these sides have seen both teams find the back of the net. Get on the Both Teams to Score – Yes – market at 8/10. Cagliari and Empoli will clash in one of the least glamorous fixtures of the round. The hosts have registered only 20 points from 19 matches, scoring 17 goals. Meanwhile, Empoli were in a terrible slump before the break, suffering four straight losses, scoring three goals and conceding 11. The last eight meetings have seen a total of 22 goals at an average of 2.75 per game. I still don’t see this one ending with too many goals being scored. I’m jumping on the Under 2.5 Goals market at 19/20. In what is probably the match of the round, Napoli and Lazio will square off at the Stadio San Paolo on Sunday evening. The Blues are unbeaten on their ground with eight wins and two draws from 10 matches, scoring 23 goals and conceding just six times. Lazio, like most of the other title-challengers, simply haven’t been at their best. Napoli won the reverse tie 2-1 and are tipped to make it back-to-back victories against the Eagles. The penultimate match of gameweek 20 will see Genoa take on AC Milan. The Griffin have managed just five wins from 19 games, while AC Milan have been poor on the road. The Rossoneri have won three of the last four meetings between these sides and should bag all three points here. Take AC Milan to come away with a narrow victory. Juventus and Chievo will close off the round with a top verse bottom clash. The Old Lady have been a cut above the rest and remain unbeaten with 17 wins and two draws from 19 games. Chievo have won just one of their 19 matches and are winless on their travels. This looks to be one-way traffic for the defending champions. The Home to Win Both Halves offers good value at 9/10, get on!